Please come join me in attending the AMOC Western Canada meeting coming up July 27th and 28th in beautiful Victoria, BC. My Sweetie and I are going to drive up from California in our DB9 to attend this event and make a long weekend getaway of it with meeting some other Aston enthusiasts along the way. If you are heading up from south of the border, please leave a comment on this blog if you’d like to meet up along the way and make the journey as a group. Anyone in NorCal interested in going (and take advantage of the incredible exchange rate right now where $1 USD will get you about $1.33 CDN) ? If you are located in Western Canada or the Pacific Northwest, please consider attending this well organized event. They are hoping to get 30+ Aston’s of all vintages to attend. They have two great days of events planned for the Saturday and Sunday. Day one is for AMOC members and their guests, and will include some interesting speakers like Stuart from Velocity AP and Richard from Redpants.lol, The event will be held in a beautiful setting. All the details about the event are listed down below (thanks to Wyman Lee for sending along the details). Last years event was detailed in the most recent edition of the Aston Martin Quarterly Magazine Winter 2018/2019 Volume 52 No 221. You can read the full article here. 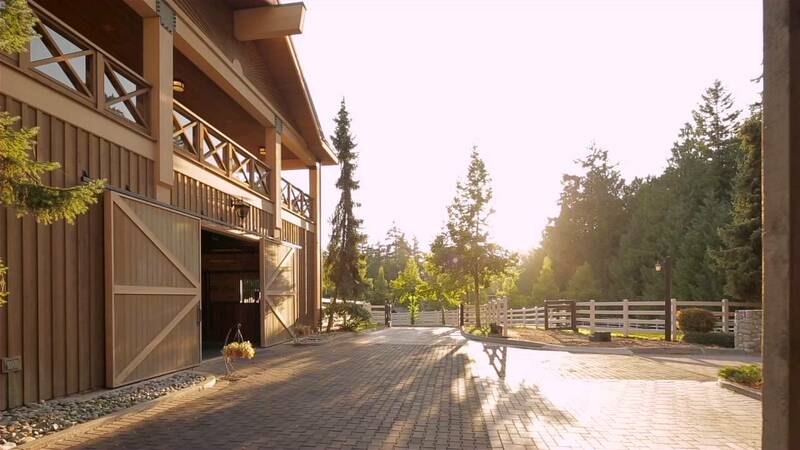 Saturday July 27th, 2019 – the first day is being held at the Stonebridge Equestrian Centre in North Saanich and is limited to AMOC Club members and their guests. Originally built by the US Sunkist famed family, this world class 5 acre Equestrian Breeding/Training Centre and grounds was spared no expense during it’s Construction. It is located at 990 Kanishay Road, North Saanich, Vancouver Island (just 10 minutes from the Swartz Bay ferry terminal). We are fortunate to have access to this Unique Equestrian Estate for the 2nd year through AMOC members Tom & Carol Mullaly who are our hosts for the Aston Martin Social Event. So come and meet your fellow Aston Owners from the Pacific Northwest regions (and beyond). You will be surprised as what’s lurking in the Hay Barn. Sunday July 28th, 2019 – The second day of the event will be held at Carlton House – Oak Bay Collector Car Festival. It is the main entrance where the expected 15,000 plus spectators arrive to inspect the 300 collectible automobiles on display. 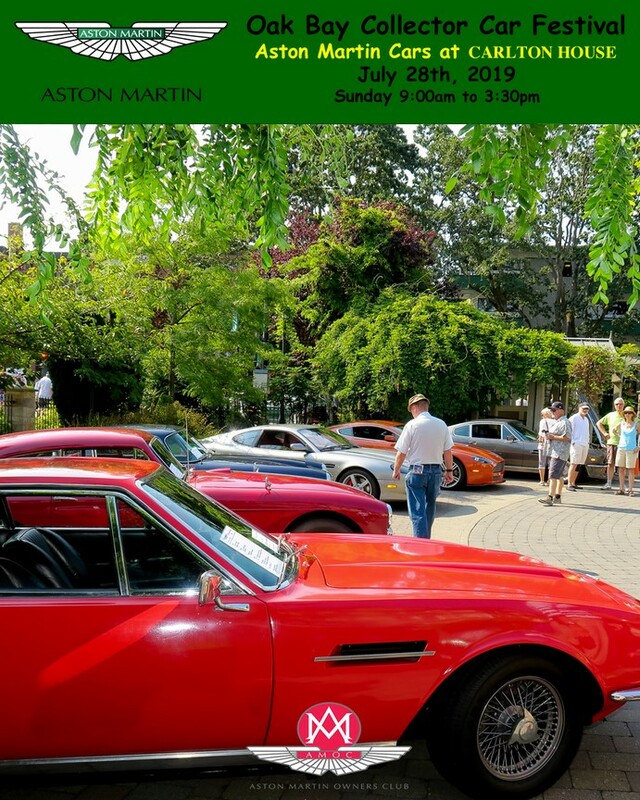 This will be the 20th annual show at Oak Bay and the 4th year which the Aston Martins has participated. We are expecting to have the largest display of Astons in Western Canada again this year. Carlton House is a boutique Senior residential Apartments which happens to anchor the start of the Oak Bay Collector Car Festival Area. Located at 2080 Oak Bay Ave in the heart of Oak Bay, Victoria BC. This will be the 4th year AMOC Member Steve Clark has offered this venue for our Aston car display and hosting our VIP lunch in the Banquet room and outdoor patio overlooking the courtyard. Learn more about the Oak Bay Collector Car Festival here on their Facebook page. Nature abhors a vacuum. I created Aston1936.com to fill a gap in the available Internet knowledge. I was frustrated that if you wanted to change the engine in a Honda Civic there were 10+ videos showing you all the details, but if you wanted to learn how to change the Oil in an Aston Martin DB9 there was absolutely nothing. With just a GoPro camera along with YouTube and WordPress I created the Aston1936.com website and YouTube channel. My goal was to show the details of how I maintain my DB9 so that It will hopefully inspire others to do the same. With over a 150 articles online Aston1936.com serves up information to about 150 readers from over 100 countries daily. The YouTube channel videos have had nearly 1 million views averaging 40,000+ viewers per month watching over 200,000 minutes of videos. I will be sharing some of my experiences with you during the presentation and would love to hear some of yours. Check out the Aston1936 YouTube Channel here. An Aston Martin fan posting YouTube DIY videos since mid 2015 with 1100 subscribers to his channel and over 200,000 views on the Aston V8 Vantage and DB9. He makes taking apart the car so easy. His online store distributes AM parts and modification items for your Aston Martin based on the USA East Coast outside of Tampa Florida. If you ever wonder what Aston enhancements to consider, Rich is the guy to ask with first hand knowledge about VelocityAP Products. Velocity Automotive Performance was founded in 2007 in the United Kingdom by Stuart Dickinson & Ben Kaighin. Their mission was simple: to manufacture exceptional quality aftermarket exhaust & tuning products at reasonable price point, and to do it with a level of customer service not normally associated with the aftermarket industry. From simple beginnings, the company has grown organically into a leader in performance aftermarket industry enhancements. Quickly building a reputation as one of the worlds’s leading Aston tuning companies, VelocityAP has since branched out to offer their own unique exhaust & tuning products for Bentley, Jaguar, Audi, Lambourghini, Ferrari, Porsche & more recently Mercedes. Stuart Dickinson or Chris Temos (Marketing Director) will be attending. 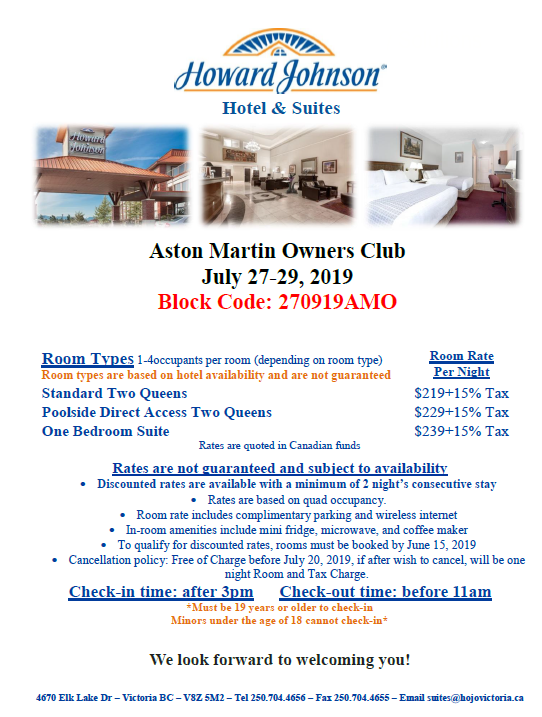 They have also invited the Aston Owners to their Track Day at the Area 27 Racecourse in Oliver, BC on August 28, 2019. Learn more about VelocityAP here. 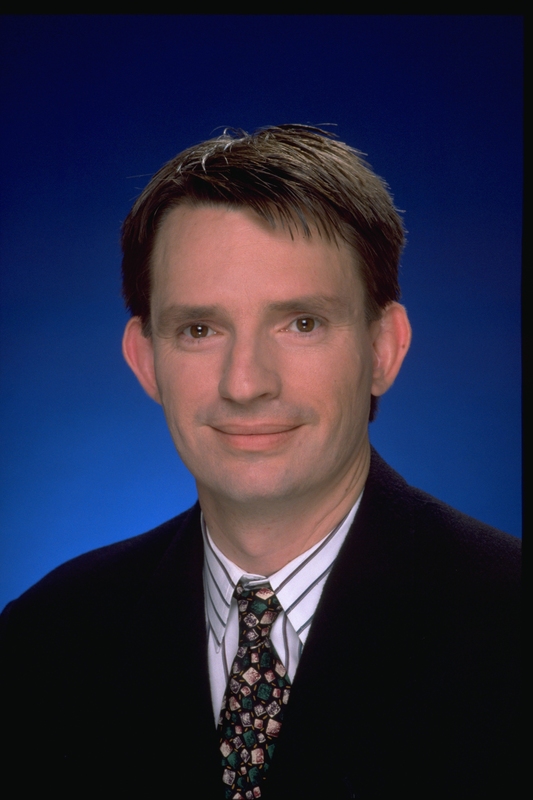 James Bartlett is a specialist in automotive surface modeling and visualization. 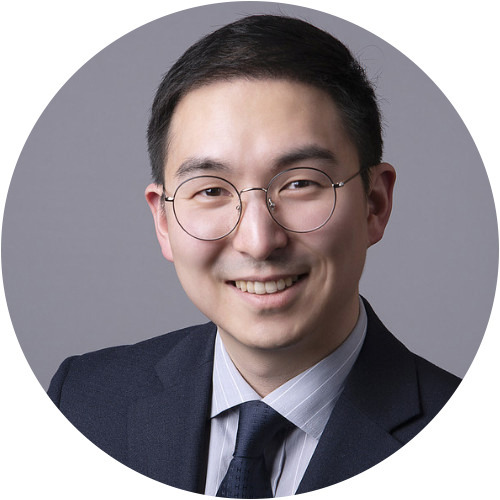 He holds a Master’s degree in Mechanical Engineering, and began his career with Magna Intl. and Chrysler. 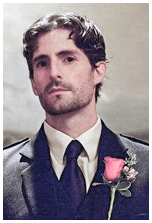 After moving to Victoria James joined the Faculty of Mechanical Engineering at Camosun College. During the latter part of his 25 year tenure his research focused on software and practices currently used in auto design studios. Since retiring from the college James has worked as a surface modeler at Jaguar and Aston Martin, and provided training to design teams at Porsche, Audi and Volvo. 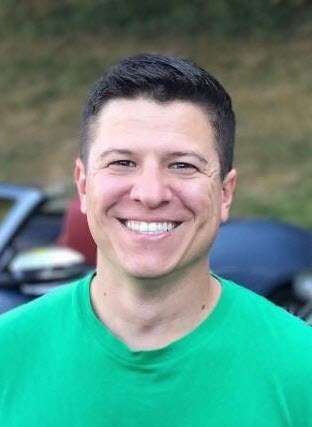 He started the business 7 years ago out of his garage and is now the largest Dash Cam Distributer in North America with a staff of 18 operating out of the Richmond Office. The company is recognized as the Dash Cam expert in Canada and has been featured on major news and media outlets in Vancouver and Toronto. Dash Cams could be the next accessory that cars may well be fitted with as standard equipment. 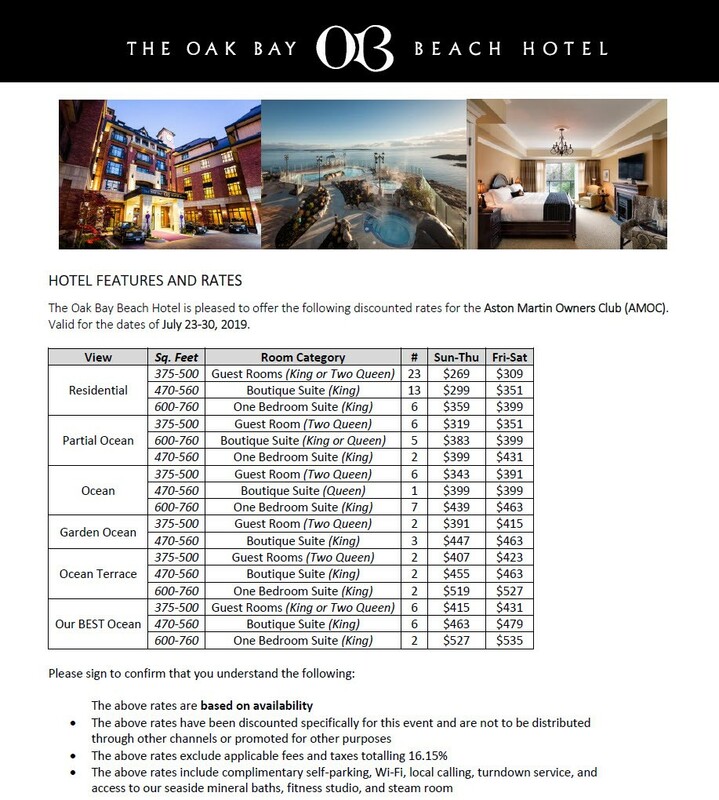 [THIS IS A GREAT DEAL] – The only cost to the AMOC participants for the 2 Day Event is the $15 display fee to the Oak Bay Collector Car Festival. They have arranged for three discounted hotels if you are travelling in for the event. Our Deluxe Room features the beautiful garden and landscaped views! This room includes a queen size bed, a flat screen television, and a spacious work desk. 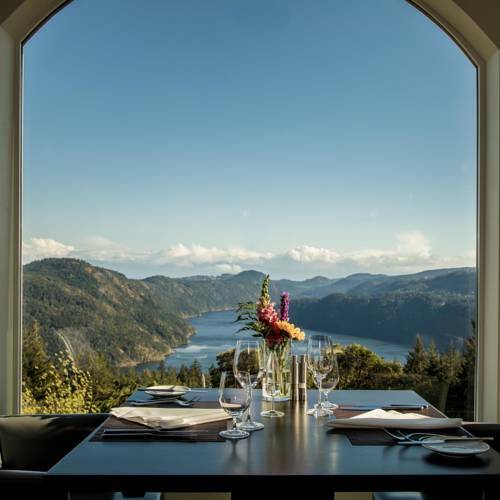 Our Deluxe View Room features stunning views of the Finlayson Arm and the Olympic Mountains! This room includes a queen size bed, a flat screen television, and a spacious work desk. Our Superior Suite features stunning views of the Finlayson Arm and the Olympic Mountains! This room includes a king size bed, a queen size sofa bed, a large balcony, a warm fireplace, a five-piece bathroom with a plate glass rain shower and infinity drains. Our Master Suite features beautiful Rainforest views! This room includes a three-tier multi-level layout, a king size bed, a warm fireplace, a wraparound balcony, a five-piece bathroom, a plate glass rain shower, and a large soaker tub in the middle of the room. 14.9 miles (21 minutes) to Stonebridge Equestrian Centre Venue. 7.6 miles (18 minutes) to Carlton House Venue. Anyone on the west coast looking to join in and needing a gorgeous 2009 DB9 Volante, I have one for sale.